Fangirls it has been a minute since I’ve been to my birth state, but last weekend I went up to NYC to hang out and see each other. Admittedly, it wasn’t nearly enough time, but we had a blast while we were there. Also, I’ve been to NYC numerous times as a child and teenager, but never spent much time there as an adult (it’s expensive as heck, man). So I’ve seen a good amount of NYC during the day, but getting to walk around at night was wonderful. One of the things that there are an overwhelming number of options with, is food. So I thought I’d share some of the food we ate! When we got there, it was pouring. It was awful; I ran about 10 blocks to meet my friends at a falafel place that was overcrowded and had no seating, and ended up drenched. Immediately across the street from too busy falafel, was Wasabi, where we went instead. We all got different hot bento boxes, and they were fantastic. 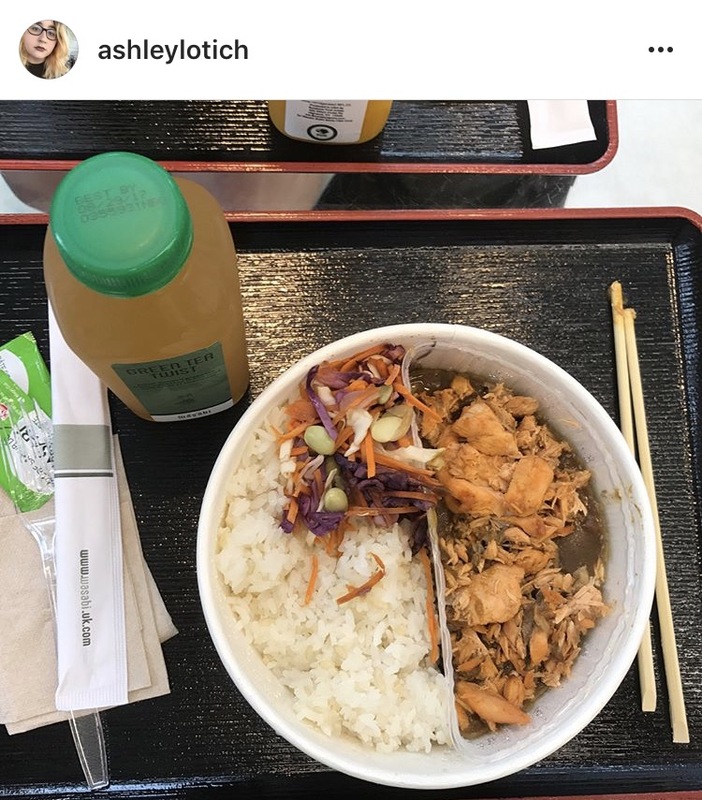 The picture I took of mine was super blurry, so check out Ashley’s lunch instead. After lunch, comic browsing, and checking in to the hotel, we went to the Metropolitan Museum of Art, which is massive. Running through there, taking in as much of it as possible was overwhelming, to say the least. We were going to grab something at the bar, but we got there after last call, son no dice on that one. But we instead got to go to Momofufu Milk Bar, where we had cookies and milkshakes. 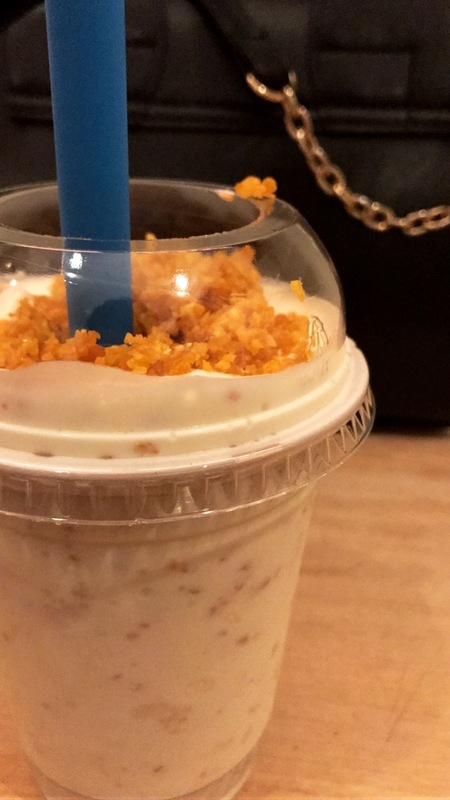 I got the crunchy cereal milkshake with 2 cookies that I saved for the work week; compost and corn. 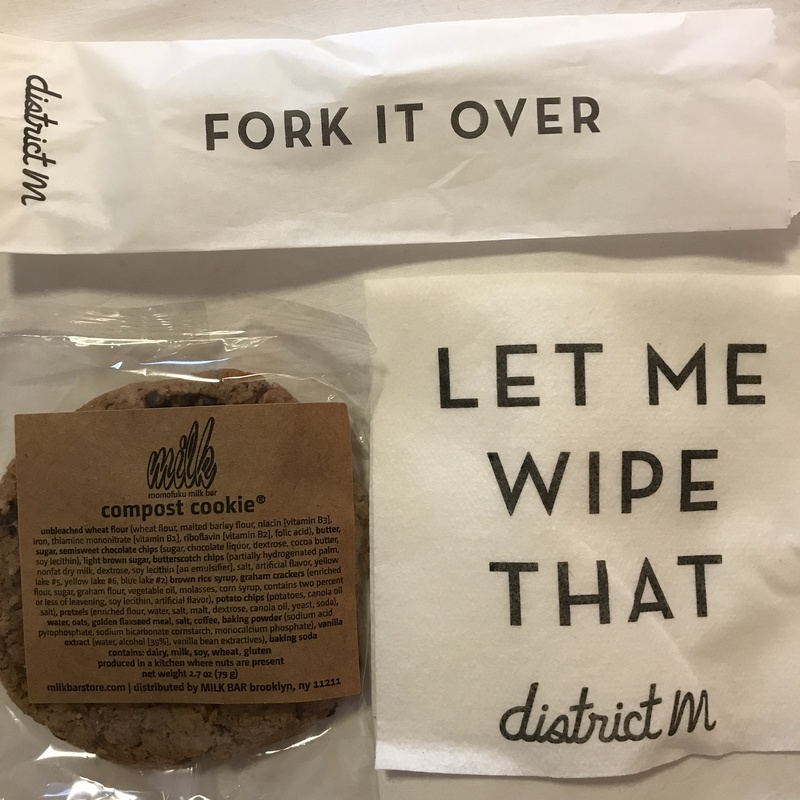 They were both fantastic, but I definitely preferred the compost cookie; it had pretzel bits, chocolate chips, and the whole nine yards! We had Ruby Tuesday’s for dinner, which is nothing exciting. 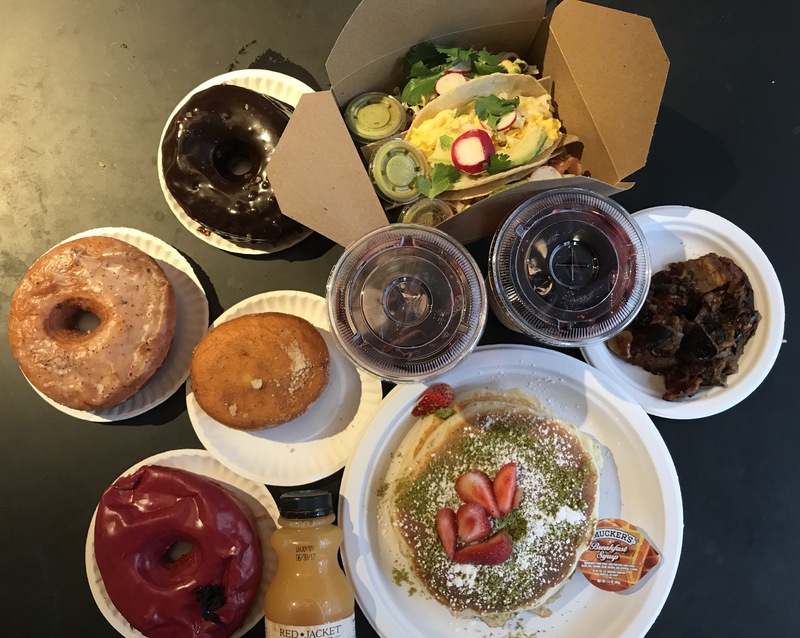 But the next morning we decided to take advantage of City Kitchen (a bit of a restaurant market) being in our hotel, and got ourselves a family style breakfast; doughnuts from Dough, tacos from Gabriela’s Taqueria, and pancakes dusted with pistachio and a side of eggplant from Box. It was a ridiculous amount of food (guess who brought her Nutella and hibiscus doughnuts home with her because she was so stuffed?). Eating family style was fantastic because altogether we spent about $45, which I think is less than what we’d pay for the three of us to pay at a restaurant. Heck, dinner for two at a chain was about $70, so we made out like bandits for breakfast. Plus we each got to try something we wanted to, and sharing really is the way to go. New York is a real melting pot, with thousands of places to eat. We had a blast, and I know we only scratched the food surface, but man did we come out full. 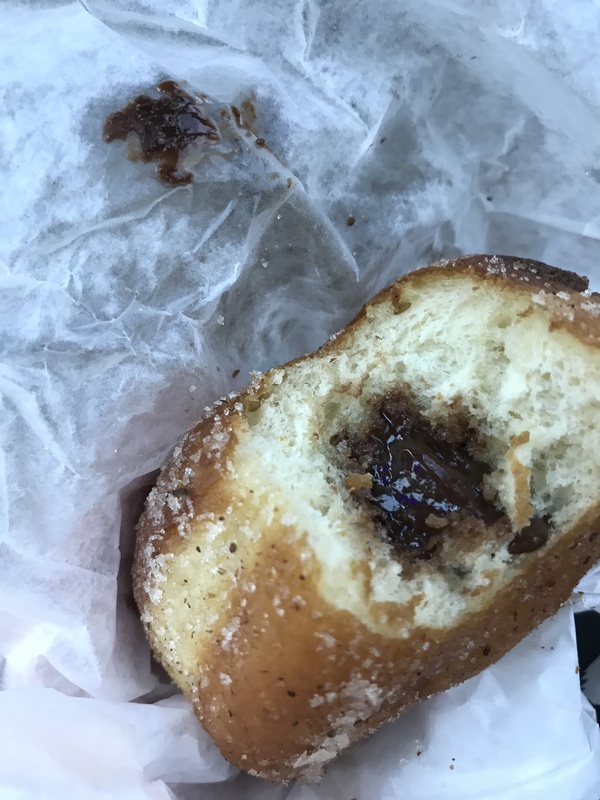 I loved all of the places we ate, and hope that if you’re in NYC and see one of these places, you stop in and grab a bite. You’ll be pleased that you did.